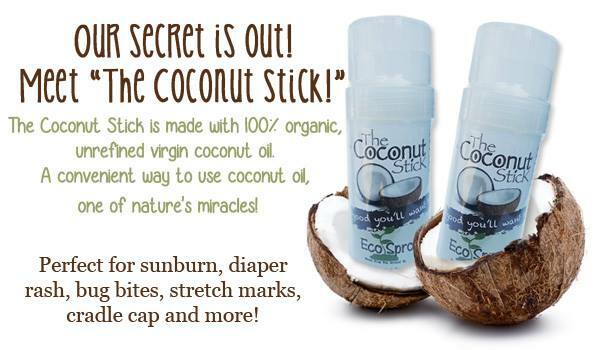 Green Team is pleased to announce the newest EcoSprout product, “The Coconut Stick.” The all natural ingredients (organic/extra-virgin/unprocessed coconut oil, beeswax and vitamin E oil) have a melting point of 98.6 degrees (body temperature) making the twist up stick a convenient way to enjoy all the benefits of coconut oil. Available for order soon; become a Green Team retailer today. This entry was posted in Blog and tagged coconut oil, diaper rash, eco sprout soap, new products. Bookmark the permalink.